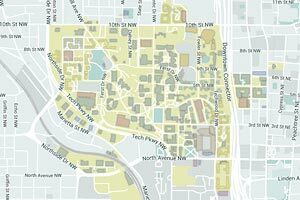 Thank you for your interest in collaborating with Georgia Tech and the office of Capital Planning & Space Management. We greatly value our relationships at Georgia Tech and are working diligently to expand our reach to continue guiding the strategic use and development of Georgia Tech's campus environments. We welcome the opportunity to meet with various companies regarding the future growth of Georgia Tech and have made ourselves available for marketing presentations on Tuesday mornings and Wednesday afternoons. Please tell us about your company and how you may be able to support our mission, specifically in relation to campus and space planning, event scheduling and management, and/or space management.